H-E-B's first two-story location in the Houston area is a smart step for the company. The familiar sight of an H-E-B lobby. 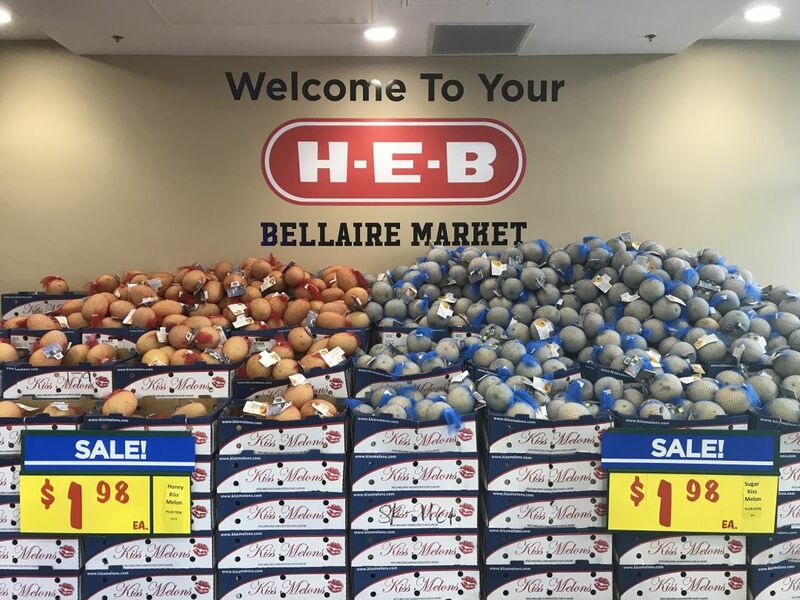 Although it has all the hallmarks one has come to expect, the new H-E-B that’s opened up at 5106 Bissonnet St. is unlike any you’ve been to before. Sure, the familiar red color scheme is in full effect, and its boxy layout preserves the general flow of produce to meat to dry goods to frozen selections, but it has a few tricks up its sleeves. In truth, I had expected my visit on a Monday late afternoon to be chaos, but was pleasantly surprised to find out that things were moving along as if the new location had been open for months. Of course, the big thing that stands out immediately is the fact that this is a two-story structure, which, given Houston’s flood issues, is a pretty smart choice. The ground floor is limited to parking, the pharmacy, and their curbside pickup service. To do your shopping proper means a trip up an escalator and elevator, which also gives us a chance to talk about the new location’s signature attraction: the cart escalator. I would love to show you a photo of it in action, but getting a photo of someone and their groceries going down an escalator is surprisingly difficult, and honestly, it’s better that you just go see it yourself. It’s exactly what it sounds like: while you ride down the escalator back to where the bulk of parking is located (there are some spots on the second floor, too)—your cart rides on another track just to your right. And because I know you’re curious, no, you can’t leave your kid in the cart while it’s going down. 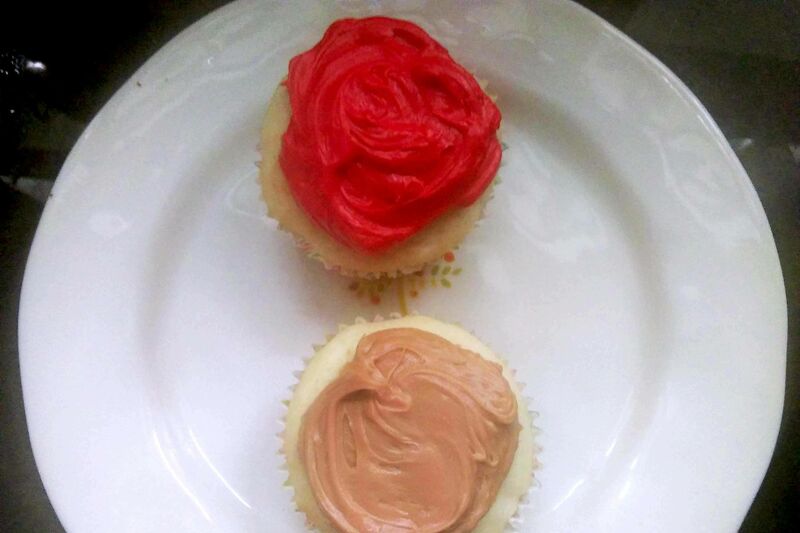 They frown upon that for some reason. It’s a smart solution to the problem of getting groceries from level two to level one without the dangers of, for example, a moving walkway; no one wants to be that person who ends up in the hospital thanks to a runaway grocery cart, you know? As for the rest of the store, there’s not a whole lot of new to report. In a way, it feels like H-E-B’s greatest hits. You have the option to make your own poké bowl; their selection of ready-to-cook meals is proudly on display when you walk in. 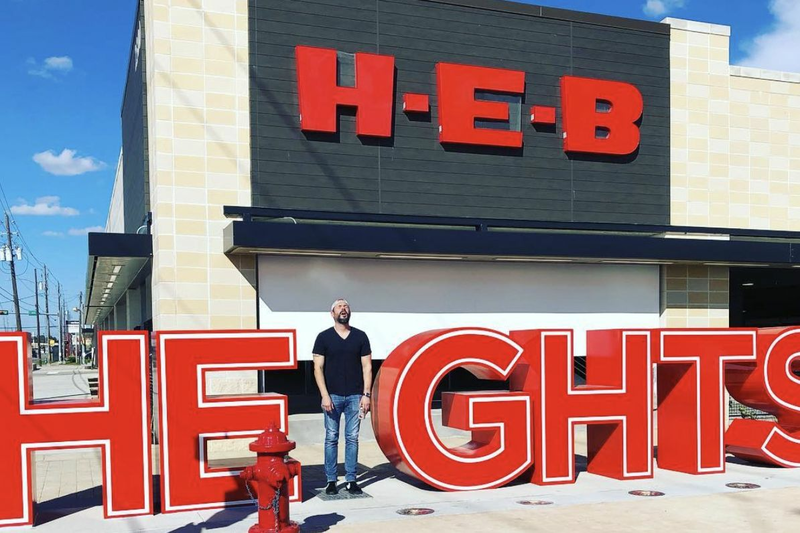 There are a few nice flourishes in terms of art and the store is very bright, which makes it more inviting than some of your other H-E-B options. 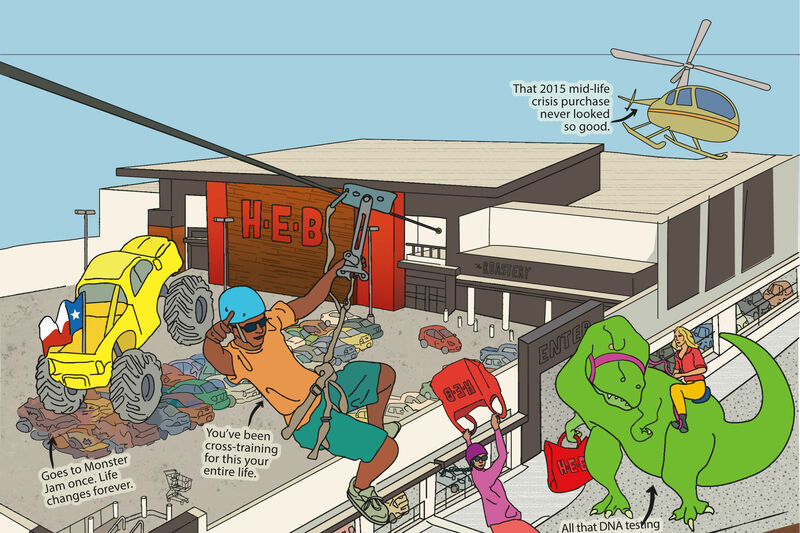 Does it top Bunker Hill as the best H-E-B in the city? 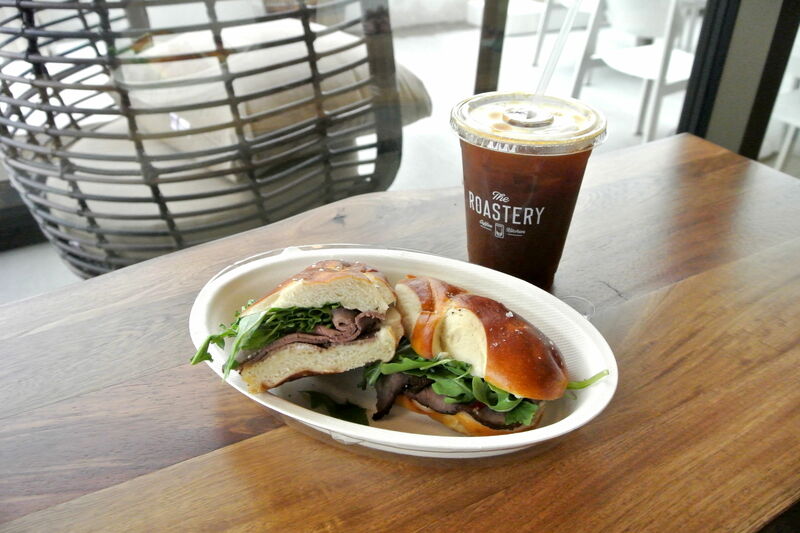 It’s hard to say at this early date, but it has potential. Plus that escalator just brings a smile to my face.